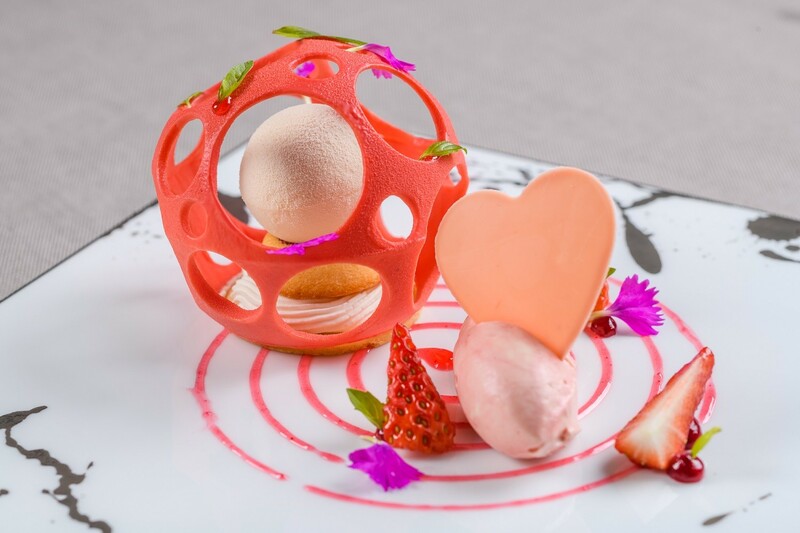 The Peninsula Shanghai offers a collection of memorable experiences to gift loved ones this Valentine’s Day. Guests may enjoy a gourmet eight-course dinner at Sir Elly’s including a glass of rosé champagne on arrival. There's also a picture-taking section on The Peninsula Shanghai’s famous rooftop helipad with a complimentary immediate printing and framing service. The sumptuous eight-course meal will include dishes such as ocean-fresh oysters with beef tongue and ginger dressing, turbot confit and lobster with chestnut, truffle, red wine and coral sauce. The dinner is priced at RMB1,988* when purchased before Feb 8 or RMB 2,338* per person when booked between 9 and 14 Feb.
*All prices are subject to a 16.6 percent surcharge.